IMAX Corporation, MacGillivray Freeman Films, and Warner Bros. Pictures announced that two-time Academy Award-winner Meryl Streep will narrate “To The Arctic” 3D. The film will be released exclusively to select IMAX theatres starting April 20. 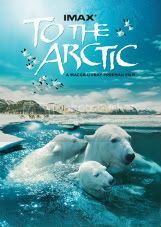 “To The Arctic” 3D, from two-time Academy Award-nominated filmmaker Greg MacGillivray (“The Living Sea,” “Dolphins”), is the first co-production from Warner Bros. Pictures, MacGillivray Freeman Films and IMAX Corporation, following the companies’ strategic alliance announced late last year. An extraordinary journey to the top of the world, “To The Arctic” 3D is the ultimate tale of survival. The film takes audiences on a never-before-experienced journey into the lives of a mother polar bear and her two seven-month- old cubs as they navigate the changing Arctic wilderness they call home. Captivating, adventurous and intimate footage brings moviegoers up close and personal with this family’s struggle to survive in a frigid environment of melting ice, immense glaciers, spectacular waterfalls and majestic snow-bound peaks. “To The Arctic” 3D is an IMAX, MacGillivray Freeman Films and Warner Bros. Pictures co-production and a presentation of One World One Ocean (www.oneworldoneocean.org). The film was produced in association with Campion Foundation, Reynders, McVeigh Capital Management, Canadian Museum of Civilization and MacGillivray Freeman Films Educational Foundation. “To The Arctic” was shot by Greg MacGillivray, Brad Ohlund, Bob Cranston, Howard Hall, Ron Goodman and Jack Tankard, produced by Shaun MacGillivray, written by Stephen Judson and executive produced by Tom Campion, Chat Reynders and Harrison Smith. The film’s companion book, “To The Arctic,” featuring photography by wildlife photographer Florian Schulz, is now available from Braided River, whose books combine photography and essays to raise awareness about some of the world’s last great wild places (www.welcometothearctic.org). More information about the film can be found at http://www.imax.com/tothearctic.